There’s a place in Portugal that’s famous for its world-class wines and as scenic as Peru with is with its massive hillside terraces. The area also happens to be a mecca for cyclists from around the world, seeking out some of the best, most scenic hill climbing in all of Europe. The Douro Valley in northern Portugal is a road cyclist’s dream come true! From the Douro River, which floats through the bottom of the valley, stems a series of small, winding uphill roads that twist and maze their way through the terraced vineyards covering the surrounding hillsides. As you cycle through this amazing network of roads, you’ll ride pass small farm houses, quaint hillside homes, and some of the most spectacular wine gardens in all of Portugal. Operating in this area, a local tour company called Live Love Ride offers guided and self-guided bicycle tours of the Douro Valley and the surrounding area – as well as several other bike tours across the nation of Portugal. 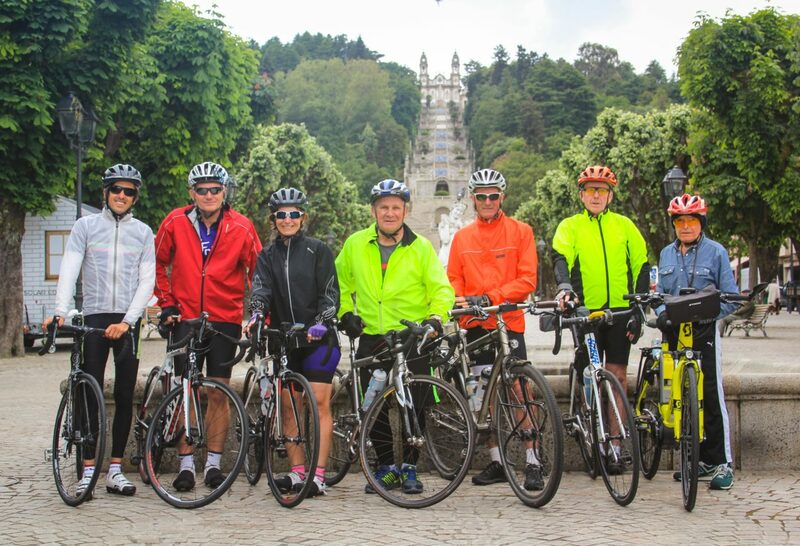 I recently had the pleasure of participating in the guided version of the Bike Tour by the Douro River with Live Love Ride… and I’d like to take a moment to share my experience with you. If you like to cycle and you don’t mind climbing a few hills, then this is a bike tour that will reward you with some of the most scenic cycling you’ve experienced in years. It should be noted that the itinerary for the Bike Tour by the Douro River has changed slightly since I participated in the tour this past summer. So, rather than explain how the tour works now, I’m going to share the bike tour with you as it played out for me during the summer of 2016. Please note, however, that if you are interested in participating in this bike tour for yourself, the order of events has changed slightly. 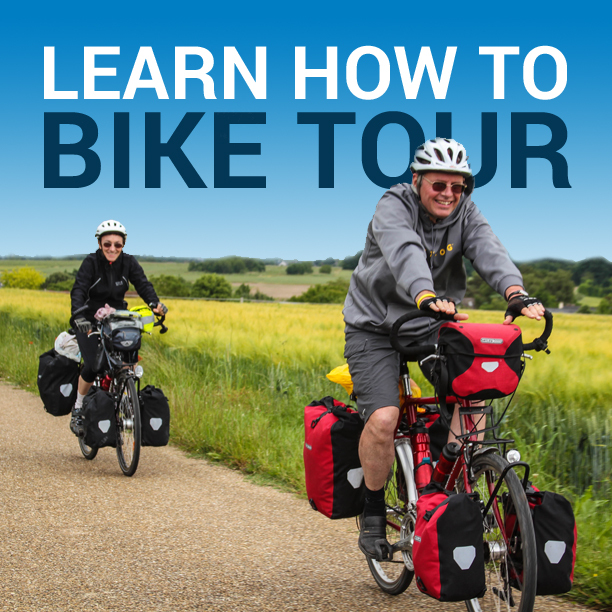 Therefore, it’s important that you visit the official Live Love Ride website to learn about the new order of events for this guided/self-guided bicycle tour. On the first day of our bike tour with Live Love Ride, myself and the others in my group were transported down the river – from Porto (Portugal’s second-largest city) to the tiny town of Régua. While we could have easily covered this distance by riding along in the tour company’s support van, we opted for the longer, more scenic boat ride down the Douro River. As soon as the boat left the dock in Porto, the views from the river became instantly spectacular and I knew from the very start that this was going to be an amazing week of travel. The further up river went, the more scenic the landscape became. We passed through several small locks and the famous terraced vineyards of the Douro Valley started to appear as we approached the city of Régua. Jumping off the boat in Régua, we were greeted by Ricardo and Jonas – the two tour leaders from Live Love Ride. They escorted us from the boat to the waiting support van, where we jumped inside and were transported just a short distance up the road to the Vila Galé Hotel Régua – a large, modern building located on the southern edge of the Douro River, with sweeping views of Régua to the north. We checked into our rooms and then met up later that night for a fancy 3-course meal in the hotel dining room. It was a great way to start our guided cycling holiday with Live Love Ride. It wasn’t until the second day of the trip that the cycling portion of our bike tour began. We started the day with a big buffet breakfast in the hotel dining room and then met in front of the hotel to make some final adjustments to our bicycles before taking off as a group down the southern edge of the Douro River. There were seven total people in our tour group: a couple from Australia; two friends from the United States and Scotland; one man from Costa Rica; myself and my friend Kevin. After cycling along the flat, southern edge of the river for a while, we turned right and began the long, uphill climb that would take us several kilometers inland. I had been warned that the hills surrounding the Douro Valley were incredibly steep, so I was a little nervous about whether or not I would be able to keep up with the rest of the group. After 45 minutes of cycling, however, I realized that the terrain wasn’t nearly as steep as I thought it might be. In fact, I was loving the uphill climb! The road surface was good, the scenery was spectacular and the street was almost entirely car-free. At the top of the hill we stopped for lunch in a small town, ate some delicious home-cooked rice and local Portuguese dishes, and then finished the day with an amazing downhill sprint back to the Douro River. From there, we cycled west back toward Régua to a nearby vineyard, where we received a walking tour of the property and were then treated with several local wines. After showering at the hotel, we met in the hotel dining room for the second of many delicious 3-course meals we would be eating throughout the tour. After another filling buffet breakfast, we packed up our belongings and loaded them into the company support van. Instead of carrying the gear with us on our bicycles, Live Love Ride transported our gear from one hotel to the next in the company support van – making it super easy for us to simply show up in Portugal and enjoy the cycling experience. I wasn’t feeling very well on this particular day, so while the rest of the group went off on their ride for the day, I rode along in the support van. This is another huge benefit to traveling with a guided tour group! If you don’t feel well, you’re tired, or you simply don’t want to cycle on a given day, you always have the option of riding along in the support vehicle. So, that’s exactly what I did! I rode along with one of the tour leaders, Jonas, while Ricardo (the other Live Love Ride tour leader) cycled with the rest of the group. From what the others told me, the third day of the trip was one of their favorites. At the end of the day, we met at the Vintage House Hotel in Pinhão, Portugal and checked into our new rooms – which were large, welcoming, and luxurious. The best part was the view from the room’s balcony, which gave you an incredible glimpse of the Douro River below and the terraced vineyards surrounding the hotel in every imaginable direction. When we woke on the fourth day of our bike tour with Live Love Ride, the sun was shining and we knew it was going to be a good day. We ate breakfast at the Vintage House Hotel and then jumped on our bicycles, crossed the river on an impressive metal bridge, and then cycled back toward the direction of Régua. Crossing and criss-crossing this section of the river quickly became a regular part of our lives during the first few days of the bike tour. Once we cycled past Régua again, we began another long, uphill climb. This climb, like the climbs on the two days prior, was steep, but exciting. The best part, however, was reaching the top, where we stopped for lunch at a small cafe and then darted uphill afterward to visit the Santuário de Nossa Senhora dos Remédios – a large, impressive church-like structure built at the top of a massive stairway/garden. The views from the top were incredible! Then we cycled back down the hill, back in the direction we had just come from, to the city of Régua, and then pack to Pinhão and the Vintage House Hotel. Instead of eating dinner at the hotel, however, we were driven up into the vineyards above the hotel and had dinner at a small stone-built restaurant perched at the top of a scenic Douro Valley overlook. The fifth day of the Bike Tour by the Douro River was, by far, my favorite day of the tour. We began the day with a large buffet breakfast at the Vintage House Hotel. Then, we packed up our belongings and loaded them into the support van. Jonas drove ahead with our suitcases full of clothing and toiletries, while Ricardo cycled with us over 70 kilometers from Pinhão to the tiny town of Marialva. Along the way, we cycled through some of the most varied terrain on the entire bike tour. The day began much like the other days on the tour – with a long, steady uphill climb through green and brown terraced vineyards. But then, the road evened out a bit, we cycled through several small villages, and the scenery started to change. Instead of seeing the vineyards we had grown so accustomed to, the landscape was now covered in trees, wildflowers and wide open vistas. At the end of the day, a long downhill followed by a short uphill brought us to the stone-built village of Marialva and our accommodation for the next three nights – Casas do Coro. Casas do Coro is a place unlike any I have seen or had the pleasure of staying at anywhere in the world. The best way to understand this place is to go there and experience it for yourself. Or, you can watch the video below for just a small taste of what this unique countryside resort is all about. This was our last day of cycling on the Live Love Ride bike tour and it was a good one. The sun was shining, it was a beautiful day, and the roads we were biking on were some of the best of the entire week. Wildflowers dotted the countryside, horses ran to the roadside to greet us as we cycled past, and we reveled in knowing that this would be our last day of cycling in northern Portugal. After a good, long day on the bikes, we returned to Marialva and our lodgings at Casas do Coro. After a shower and a short rest, we were let in to see the interior of the nearby stone castle that is Marialva’s most dominate landmark. What was once a large, nearly impenetrable fortress built to defend the Portugese from Spanish invaders is now a stone ruin, which the locals seem to be slowly working to restore. Touring the castle grounds was one of the highlights of this entire bike tour, and I’d highly recommend it, as the views from inside the castle are quite spectacular! In the evening, we walked from our room at Casas do Coro to the nearby restaurant and partook in the largest and most delicious feast of the entire bike tour. An entire table of desserts was presented and we ate everything in sight. It was a fantastic way to end our Bike Tour by the Douro River. The last day of the Bike Tour by the Douro River was all about saying goodbye. We said goodbye to the other tour participants, we said goodbye to the tour leaders (Ricardo and Jonas), and we said goodbye to the Douro Valley. Kevin and I left the group in Marialva, but the other tour participants were driven back to Porto in the company support van. From there, they flew to their homes all around the world… and that was the end of our incredible cycling holiday in the Douro Valley with Live Love Ride. Part of what makes the experience with Live Love Ride so memorable are the unique accommodations that you get to stay at throughout the duration of the tour. The Vila Galé Douro is a large, modern hotel situated on the south side of the Douro River in beautiful Régua, Portugal. The hotel features large, contemporary rooms, a swimming pool, Jacuzzi, dining room, and one of the best riverside patios in all of Portugal. If the weather is nice, make sure you grab your breakfast from the buffet and then eat outside on the patio. The view of the river from there is quite spectacular! The Vintage House Hotel is probably the largest building/business in all of Pinhão, but it manages to retain a small, inviting, resort-like feel. The tall, whitewashed walls of this hotel scream “luxury living” from the moment you arrive, and the palm trees, swimming pool and dark green grasses surrounding the properly only add to the high-end feel of the place. Casas do Coro is a totally unique accommodation option, located in the tiny village of Marialva, Portugal. Like the rest of the city, the walls of Casas do Coro are built of stone, and many of the rooms are constructed in what looks and feels like an entirely underground network of homes. The result of this unique architecture styling is a dark, cool feel (which is much appreciated in the hot summer sun of northern Portugal). The restaurant, swimming pool, patio and the castle of Marialva itself only add to the memorability of your stay at Casas do Coro. If you are one of those people who loves wine and cycling, then the Bike Tour by the Douro River is a cycling holiday you will certainly enjoy. But even if you don’t like wine or you aren’t that big of a cyclist, I think you’d enjoy your time in the Douro Valley. Transferred from the airport (or your hotel) in Porto to the start of the tour. A luxurious boat ride down the Douro River. Daily guided bike rides led by experienced local cyclists who cater the ride each day to your skill level and personal desires. 6 nights in 3 or more high-end accommodations. Luggage transport between each of the hotels. Lunches and dinners at handpicked restaurants (if you choose the extra meal package). Entrance to a local vineyard, which includes a wine-tasting and a tour of the wine cellars. The rental of a high-end road bike, GPS and helmet. A classy support vehicle that will carry your luggage, assist you with mechanical problems, and transport you from one hotel to the next should you decide you can’t or don’t want to ride on any given day. Personal accident insurance, which covers you from injury throughout the duration of the tour. A Live Love Ride bike jersey, cap and bib shorts (which look really good, by the way). And the experience of a lifetime in Portugal’s Douro Valley! The scenery you’ll see throughout the week. When I look back at my time in the Douro, I don’t think I’ll necessarily remember the food, but I will remember what the place looked like. The terraced vineyards that cover the valley are so unique, and the yellow wildflowers that dot the landscape only add to the magical feeling of this special place. The uphill climbs and downhill rides. I wouldn’t say that I’m someone who seeks out big hills to climb, nor would I say I’m someone who enjoys cycling ascents. But on this particular bike tour, I loved the uphill and downhill riding. The uphills were pleasant (and not too difficult), while the downhills were spectacular! I’d get to the bottom of the hill each day and want to ride right back up to the top, so I could do it all over again. The fact that you get to stay in each hotel for two nights. While other bike tours require that you pack up your belongings and move hotels each and every night, this bike tour is unique in that you stay at each hotel for two or more nights, so you don’t have to be constantly packing up your things each and every day. Instead, you can settle in a bit more and really get to know the place. I liked that aspect of this bike tour, and I think you will too. Overall, the Bike Tour by the Douro River with Live Love Ride was a really fantastic experience. The tour leaders were great, the cycling was superb, the scenery was spectacular and if given the opportunity, I’d go back and do it all over again. Highly recommend! This entry was posted in Bicycle Touring Pro Articles, Darren Alff's Bike Tour Blog, Featured Articles, Featured How-To Articles, Main Articles, Portugal, Product & Service Reviews, Uncategorized, Videos and tagged bicycle touring review, bike tour review, cycling holiday, douro, douro river, douro valley, europe, portugal, portugal river tour. Always wanted to visit the Douro Valley by bike (and taste the wine!) – this looks like a great trip.